Racial eliminativism. Try saying that three times fast. This tongue twister is not the work of our beloved Dr. Seuss but scholars like K. Anthony Appiah, Lawrence Blum, J. Angelo Corlett, Ashley Montagu and Naomi Zack. I hope to be added to this list and here’s why. 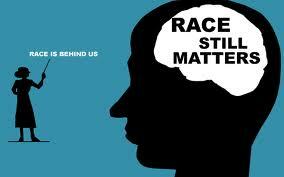 Racial eliminativists believe in the elimination of race. Need I say more? Perhaps, the Stanford Encyclopedia of Philosophy says it best. This simply means that from the perspective of genealogy, race does not work and there are a group of people that believe that it should be eliminated. I join with them though theology not genealogy led me to their side. Still, I, too, am a racial eliminativist. I’ll only say it once. Race atheist may be easier to repeat.